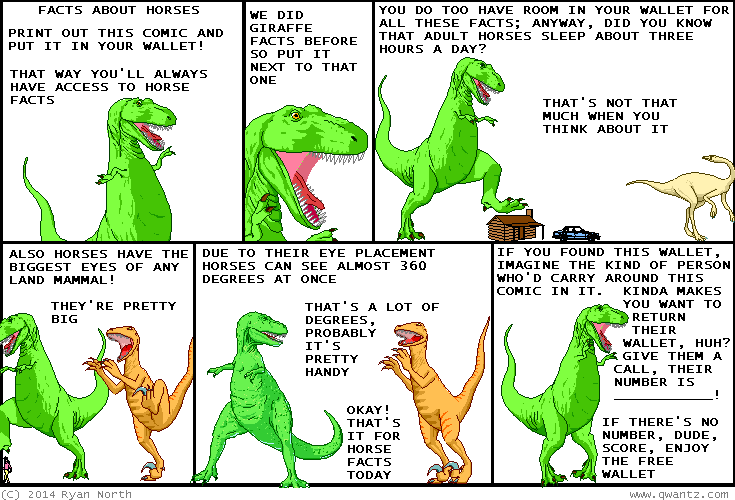 Dinosaur Comics - February 10th, 2014 - awesome fun times! February 10th, 2014: We did Facts About Giraffes back in 2010 and now that we've all had three years to digest that material it's time for some NEW FACTS!! Guys check out this book that David Malki did. I for one am appalled.